Governor Rick Scott signed Senate Bill 220 into law in March, officially authorizing federal bankruptcy documents to be admitted into evidence in foreclosure cases. Our foreclosure defense attorneys in West Palm Beach are sharing everything debtors need to know about the new legislation. The key issue the law seeks to address is the prevalence of debtors agreeing to surrender property in a bankruptcy case, then contesting the foreclosure after receiving a bankruptcy discharge. The surrender of the property is commonplace in personal bankruptcies, as debtors are given the option to relinquish debts secured by property through surrender, redemption or retention with recurring payments moving forward. The former is often the most beneficial option for the debtor, but the issue arises from that decision not being honored when the time comes to follow through. The bill seeks to rectify such situations by giving lien holders the power to present documentation from bankruptcy proceedings that prove the borrower fully intended to relinquish the property in the subsequent foreclosure case. These documents would be a valuable tool for demonstrating perjury, and thus it is important for debtors to be mindful of the likelihood that a Statement of Intention to surrender the property will be binding. Senate Bill 220 will ultimately make defending foreclosures after a surrender of one’s home in bankruptcy increasingly difficult. The framework for the decision was laid in the 2016’s In re Failla, which involved a debtor who surrendered his property in bankruptcy and then contested the action at the onset of foreclosure proceedings. The court ruled that the Statement of Intention relinquished the debtor’s right to defend the action. If this ruling is any indication, attempting to backtrack from a surrender decision is bound to be an uphill battle. That said, debtors should understand that the legislation does not rid them of the right to defend against a wrongful foreclosure action linked to actions that occurred after the bankruptcy proceedings concluded. While promises made in bankruptcy cases should, of course, be honored, there will still be instances where defending against foreclosure is still advisable — even after surrendering the property in bankruptcy. In re Kurzban serves as a prime example, a case which involved a debtor who surrendered a home in bankruptcy and later contested the foreclosure for that same property. The basis of the defense was that the foreclosure stemmed from a subsequent default, and notably one which followed the granting of a loan modification and dismissal of the original foreclosure case that began post-bankruptcy. The defense was ultimately successful, demonstrating that such matters should still be weighed on a case-by-case basis. 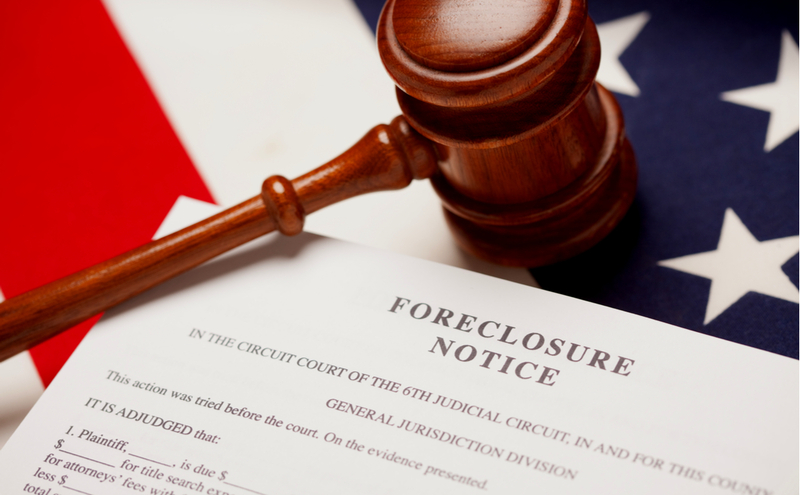 Still unsure how this new legislation could impact your foreclosure case? With years of experience representing debtors in both foreclosure and bankruptcy cases, our foreclosure defense attorneys in West Palm Beach are able to answer any questions you may have. Contact our office today to schedule your free consultation.